eDoctrina proudly offers the INSPECT® question and assessment bank. This bank includes over 60,000 items, the majority of which were written to align with the common-core. In addition to individual items, the INSPECT® bank includes a range of rigorous benchmark assessments and summative assessments. 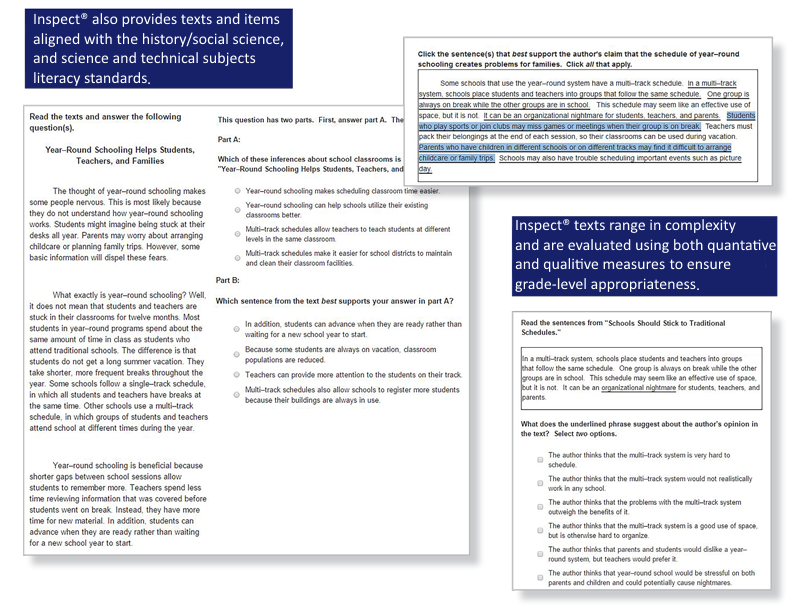 Items are written by professional writers across the country, are all tightly aligned to rigorous curricular standards, range in complexity and difficulty, and reflect the most likely cognitive disconnects in learning. Assessment results can be disaggregated at any student group level and pinpoint specific weaknesses in learning that students are having. Rigorous field-testing and item analyses are conducted to ensure the quality of each item in the INSPECT® question and assessment bank. What subject areas and grade levels are covered? The bank features Math and ELA items for grades K-12. The bank also features science items for grades 4-12 and history for grades 5-12. Contact us if you would like a more detailed summary of the number of items in each grade / subject area aligned to your state learning standards. Are there any cool technology enhanced items? 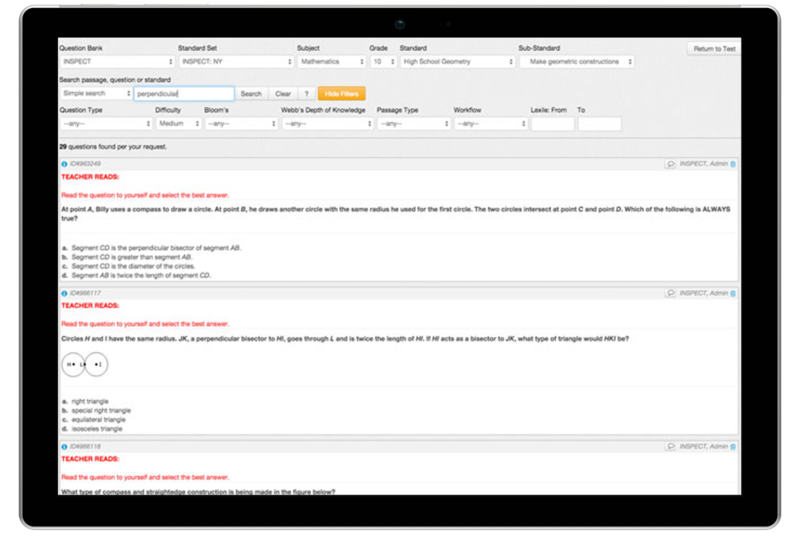 INSPECT® is on the leading edge of assessment item design and has a vast range of Technology Enhanced Items to challenge your student and prepare them for PARCC and Smarter Balanced Assessments. Click here to see our 2018-2019 offerings. The INSPECT® bank is very easy to use. 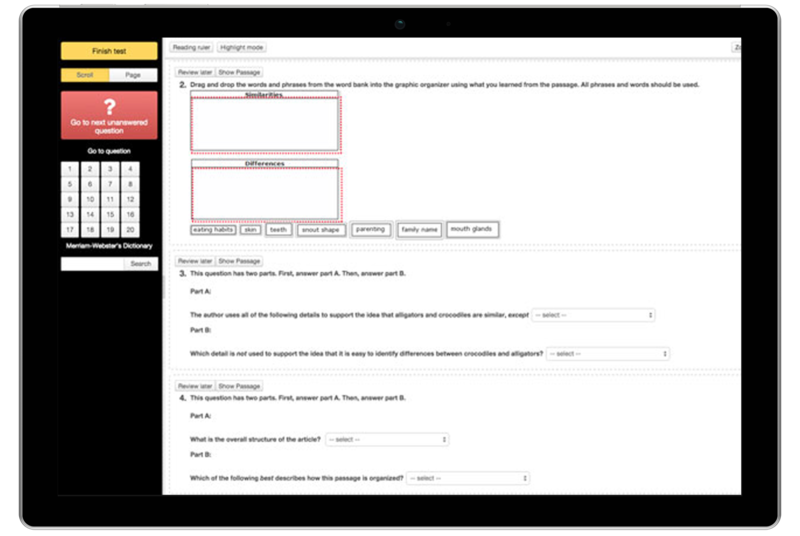 Teachers can search by standard, difficulty, Webb’s DOK or keywords. After finding the question they simply double-click to add it to the assessment. This process saves teachers a tremendous amount of time!